We continue with part 3 of Henri de Villiers’ examination of the various forms and traditions of the pre-Lenten period. Click the following links to read part 1 and part 2. Synthesis of the fast of the Ninevites and Meatfare Week – the extension of Fore-Lent to three weeks. We have seen that, in the sixth century, the custom of preceding Lent by a week of abstinence from meat is well established in both East and West. The 24 canon of a council held at Orléans in 511 prescribes its observance, indicating that it was already spreading before that date in Merovingian France. Certain churches in the East add the fast of the Ninevites in the 3rd week before Lent. It was therefore natural to join these two periods together and extend Fore-Lent to three full weeks. It is possible that in the East this liturgical “bridge” between Lent and the fast of Nineveh was first built in Armenia. The Armenian Fore-Lent is called Aratchavor, and comprises three weeks, the first of which, is called Barekendam, “the last day of fat.” The first week is quite strict, consecrated to the fasts of the Ninevites, instituted by St Gregory the Illuminator in the 4th century. The second and third week are less penitential, and the fast is kept only on the Wednesdays and Fridays. 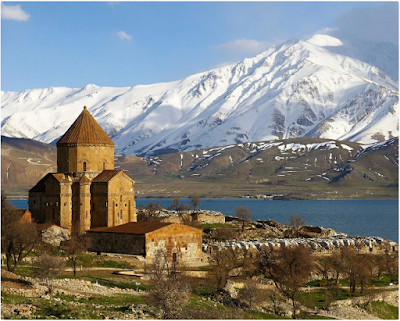 The Cathedral of the Holy Cross, an Armenian church of the early 10th century built on Aghtamar island in Lake Van, now in the state of Turkey. At Rome, Quinquagesima Sunday came to be preceded by two other Sundays, Sexagesima and Septuagesima, over the course of the 6th century. The old Gelasian Sacramentary (Vat. Reg. 316) and the Epistle book of Victor of Capua, dated to 546, attest the presence of Sexagesima in theis period. The stations of the three Sundays were fixed by Popes Pelagius I (556-561) and John III (561-574) at the basilicas of St Lawrence Outside-the-Walls, St Paul and St Peter. We have homilies delivered by St Gregory the Great for all three of them. 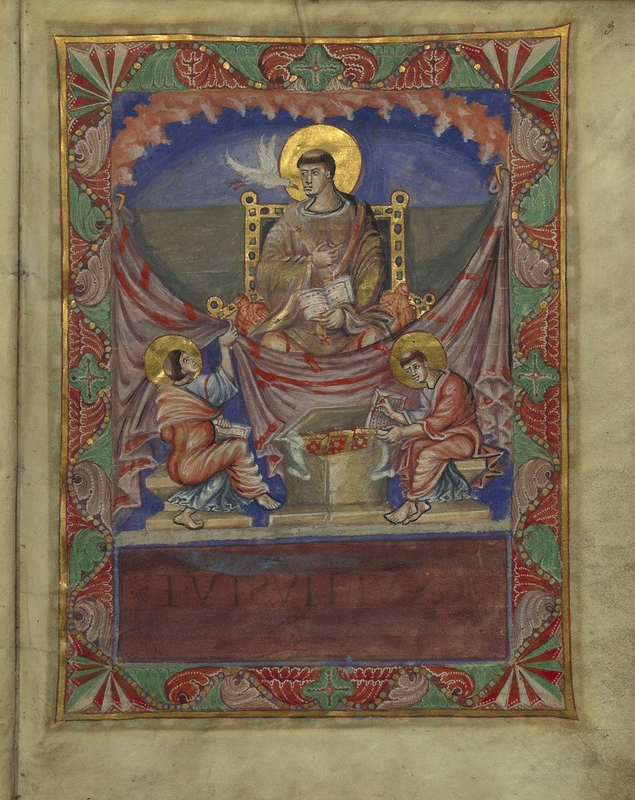 The oldest known Roman lectionary, known as the lectionary of Würzburg, was copied out in the first half of the 7th century for use in France, and largely corresponds to the arrangement of the old Gelasian Sacramentary; it also attest that the three Sundays were already established by that point. Fore-Lent also exists in the Ambrosian tradition, in which the three Sundays have the same names as in the Roman Rite. The Alleluia is nor suppressed in this season, but rather, on the First Sunday of Lent since the Borromean reform, before that, on the first Monday. The liturgical texts are quite different from those of the Roman Rite, which would not likely be the case if the season were not very ancient at Milan, rather than a mere Roman import. We may cite here the transitorium (the equivalent of the Roman Communio) of the Mass of Septuagesima, which proclaims the program of the season. Be ye all together converted to God, with pure heart and mind, in prayer, fasting and many vigils; our forth your prayers with tears, that you may cancel the decree of your sins, before there come upon ye sudden destruction, before the depths of death swallow ye up; and so, when our Creator cometh, may He find us ready. In this period, the Byzantine Rite reads a series of Gospels which prepare the people for the penance of Lent: the Publican and the Pharisee (Luke 19, 10-14), the Prodigal Son (Luke 15, 11-32), the Last Judgment (Matthew 25, 31-46), and Christ’s words on fasting from the Sermon on the Mount (Matthew 6, 14-21.) The organization of the three weeks is attested in the Typikon of the Great Church, of the 9th-10th century; the lack of older liturgical documents older than this does not allow us to speak more precisely about the origins of the arrangement. It must be noted that in the first week, following the Sunday of the Publican and Pharisee, the Byzantines completely suppressed all fasting, even the regular weekly fast on Wednesday and Friday, as a result of certain controversies in the Middle Ages, to distinguish their own practice from that of the Armenians in the same week. Only a few rites, those isolated from the rest of the Christian word by the advance of Islam, have no developed the three-week period of Fore-Lent. The Mozarabic Rite has remained in the primitive stage before the beginning of the 6th century with a single week of preparation for Lent. The Sunday of this week is called “ante carnes tollendas – before the meat is taken away”, indicating that meat was removed from the diet, but not milk products or other non-vegetarian foods. Egypt and Ethiopia have both the fast of Nineveh and the fast of Heraclius, but have never joined them into a single Fore-Lent. However, among the Ethiopians, the Sunday corresponding to the Latin Sexagesima, although counted with the liturgical season after Epiphany, is fixed in relationship to the following Sunday, called “the Sunday of the Bridegroom, in which antiphons are taken from the Parable of the Wise and Foolish Virgins (Matthew 25, 1-13). This marks end the period in which marriages are permitted. The Assyro-Chaldeans have held to keeping the Rogations of the Ninevites, and do not have an equivalent to Quinquagesima.